Cultured pistachio pearl ringed bracelets from Honora. 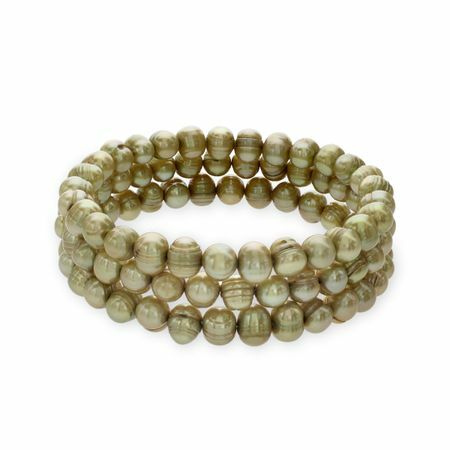 These bracelets feature dazzling 7-8MM pistachio freshwater pearls in an on-trend set of 3 that's perfect for stacking. Piece measures 8 inches in circumference.